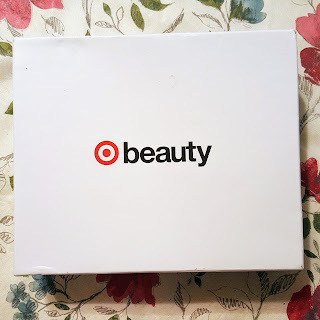 My September Target Beauty Box came last week. One of the things that I really like about this sample box is that for $7 you get at least 1 full sized product. 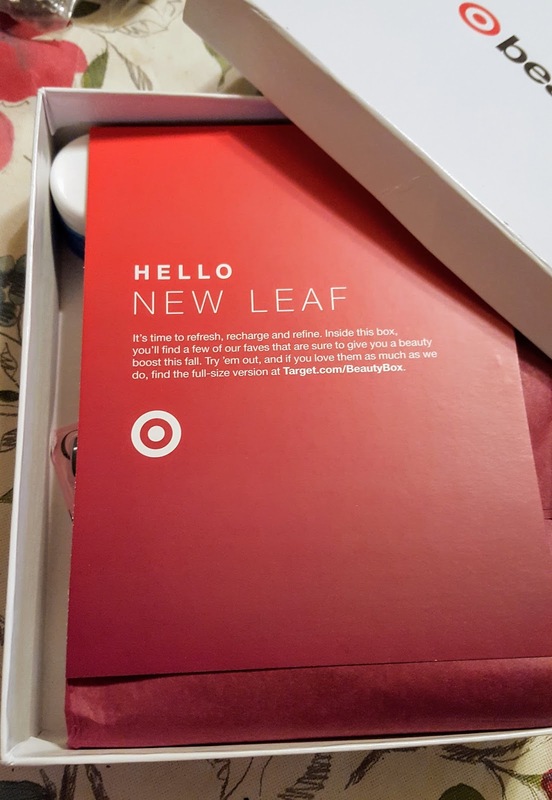 The other thing I like about this box is that you don't have to sign up for a subscription and can decide if you want the box or not before you actually purchase it. Most of the time you have to be pretty fast though, they do tend to go quickly. 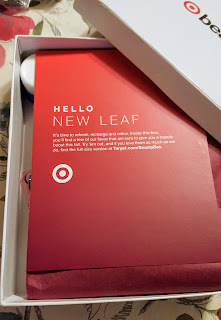 This box theme was called new Leaf. Refresh, recharge and refine. 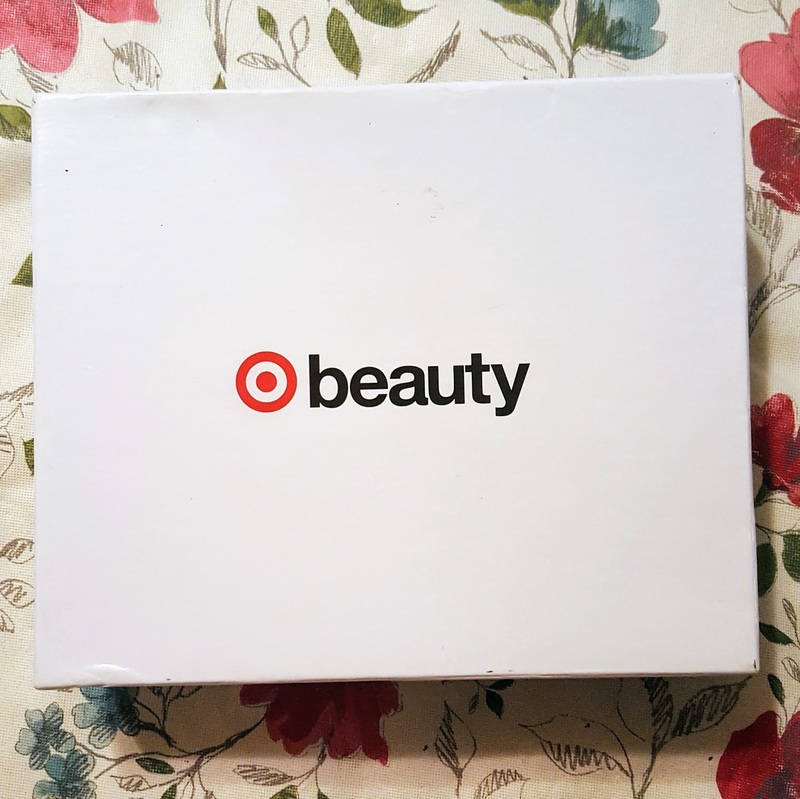 After a long hot summer your skin and hair get dried out, and this little box has everything you need to rehydrate and renew your tired skin. I haven't really gotten a chance to use everything just yet. I really like the in-shower body lotion. I never understood the Micellar Water, its like expensive water in a bottle if you ask me. I never see any kind of change good or bad when I use it. The cotton rounds (2) were a complete waste of space. I can't wait to try the mascara but I already have like 3 or more tubes open and girls know you cant keep that stuff laying around forever! 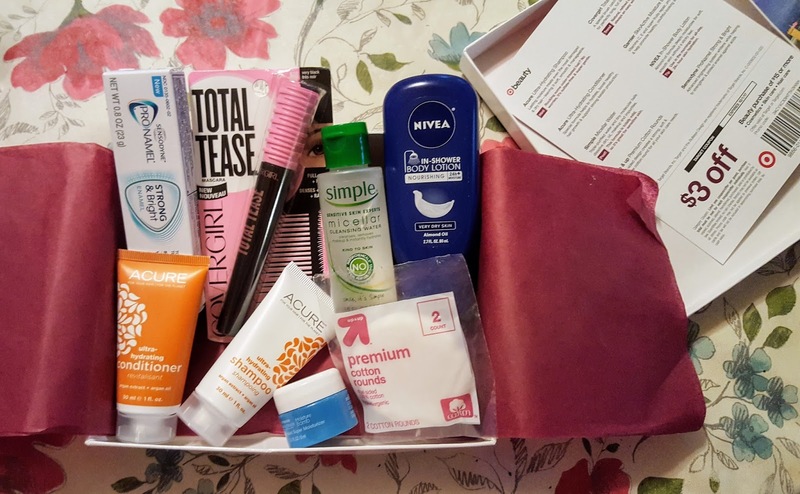 Anyway, it was a half decent box again this month. Cant wait to see what they have for November and December!